Ever see a polish swatched, decide you need it, change your mind, change your mind again, switch back to wanting it, then not, repeat maybe twenty times, wind up finding it when you have good coupons, buy it, wear it, and realize it kinda leaves you flat? Well...I have. 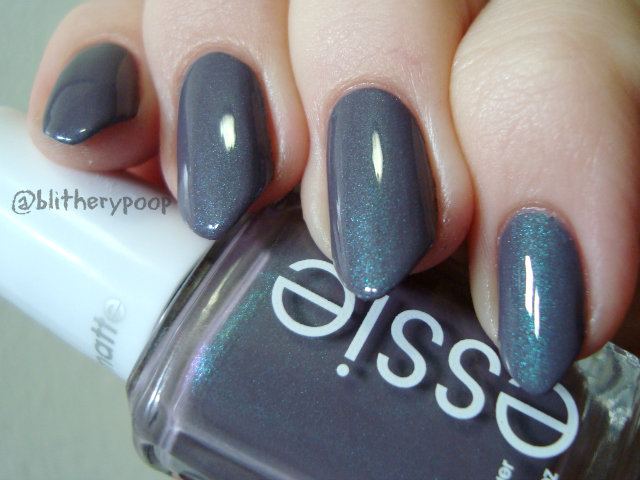 Coat Couture is a matte dusty purple with teal shimmer and a slight shift to purple. Normally I'd be crazy about a dusty purple with teal shimmer. Something here just doesn't do it for me. The formula is probably part of the problem. I hate to say it, but it has almost every issue a matte polish might have. It dries so fast that it gets gloppy as you apply it and winds up uneven. It's chalky. The shimmer shows the brushstrokes if you're not careful...but it's hard to be careful because it's starting to dry almost before you can get it on the nail. 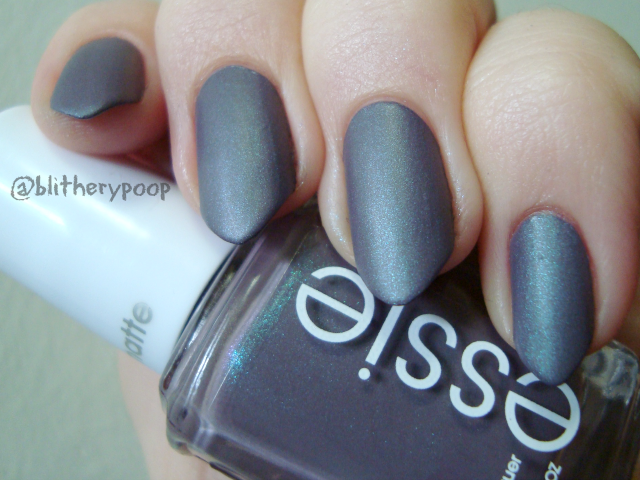 This is two coats and it was a struggle. The rest of the problem? I'm pointing a finger at the finish. It's somehow too matte and also not matte enough. Or maybe it's the shimmer? It just looks kinda dull to me. A glossy topcoat helps a lot. The shimmer is more visible this way, but it's still more subtle than I'd like it to be. The shift is super subtle too, which loses it even more points. It's there, but you only really see it in perfect light and at extreme angles. Bottom line: I don't know. I'll give it a second chance sometime, but I'm comfortable telling you you can probably skip this one. Sometimes you feel like you can layer your 'ideal' version of a polish that doesn't quite hit the spot. In this case, I already have. Has this happened to you? What were the polishes?